SDC alumni continue to be an asset to the Karenni people in many ways. 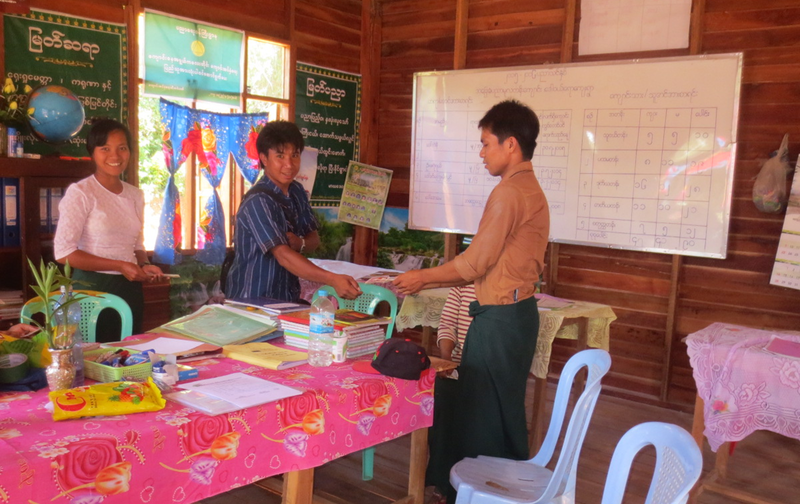 During July, some SDC alumni traveled inside Karenni State to rural IDP (Internally Displaced Persons) areas and distributed school supplies and stipends. 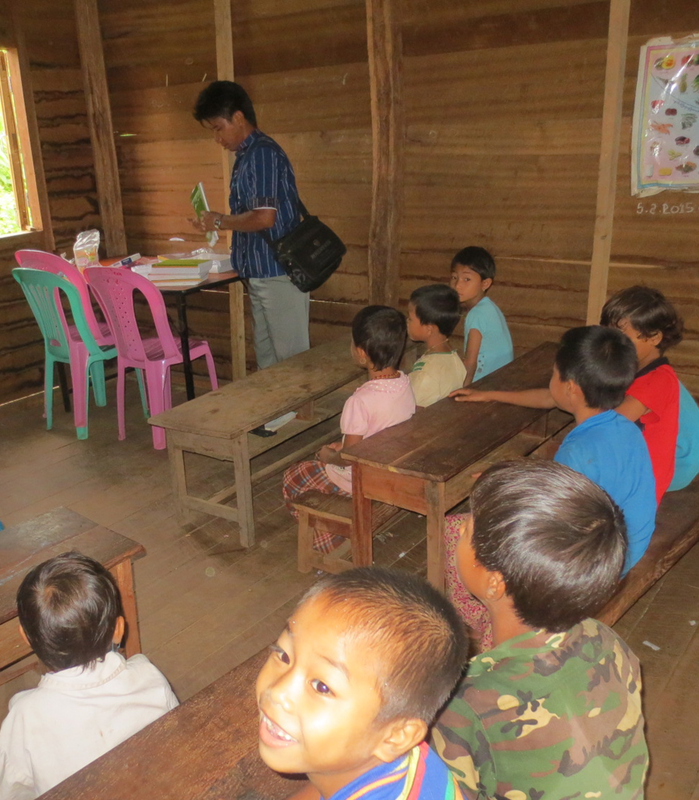 The alumni traveled inside Karenni State to support a Karenni Education Department (KnED) project. The project provides IDP students and teachers with support in order to improve education for young Karenni (IDP) people. They provided a variety of materials to the children including books, pens and sport equipment. They also provided a partial stipend to the teachers. This small stipend is not enough to provide a teacher’s full salary but it offers a reward for all of the teacher’s efforts to educate young people in a situation with such limited resources. The educational situation for the children of the over 15,000 IDPs, as estimated by the Karenni Refugee Committee, is very difficult. Most schools do not have basic equipment and teachers receive very little, if any, salary. In some areas, communities have shown great dedication to their future generation’s education by building their own schools. 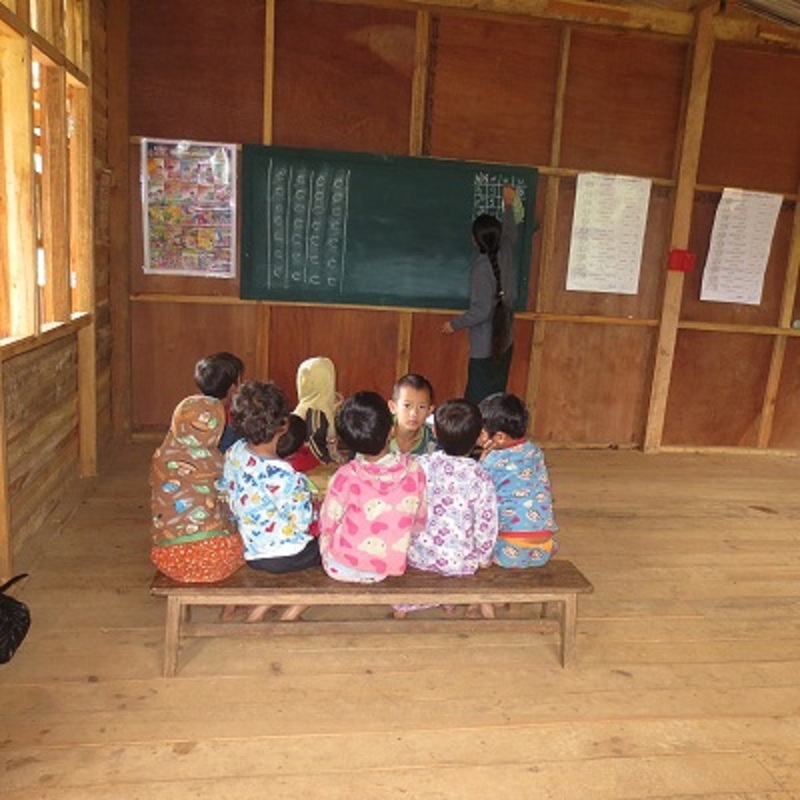 One of the reasons, these areas face such challenges for even the most basic level of education is that they are within some of the most isolated, rural areas of Karenni State. It remains very difficult to travel to these areas and requires local expertise to navigate around inside them as landmines continue to present serious danger. Despite growing up in IDP areas and having a childhood fraught with challenges, children are still eager to learn and study. They are also privileged to have teachers ready to work, with little remuneration, to help them. It is an honor for our SDC alumni to be able to help and support our future generations. Through acts like this, we can create a free and democratic future for our new generations.